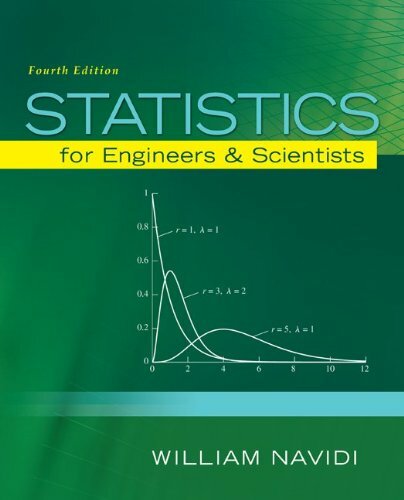 May 3, 2018 lowpricebooks 73401331, engineering, William Navidi Prof.
73401331 – Statistics for Engineers and Scientists by William Navidi Prof.
Statistics for Engineers and Scientists stands out for its crystal clear presentation of applied statistics. The book takes a practical approach to methods of statistical modeling and data analysis that are most often used in scientific work. This edition features a unique approach highlighted by an engaging writing style that explains difficult concepts clearly, along with the use of contemporary real world data sets, to help motivate students and show direct connections to industry and research. While focusing on practical applications of statistics, the text makes extensive use of examples to motivate fundamental concepts and to develop intuition.